"Lost in time and space..."
The sun's back after yesterday's storms. Currently, it's only 86˚F. And today is Spooky's birthday. So, we have plans that do not include unpacking. Yesterday, we made a trip out to my Mom's in Leeds, and to WalMart. Then Spooky made chili, the first dinner we've cooked in the new place. Then we watched the new episode of Naked and Afraid XL and more Goliath. I'm even more impressed with Season Two of Goliath than I was with Season One. It's just about out weirding True Detective. The brilliant seventh episode, "Diablo Verde," had me half convinced Quentin Tarantino was guest directing. 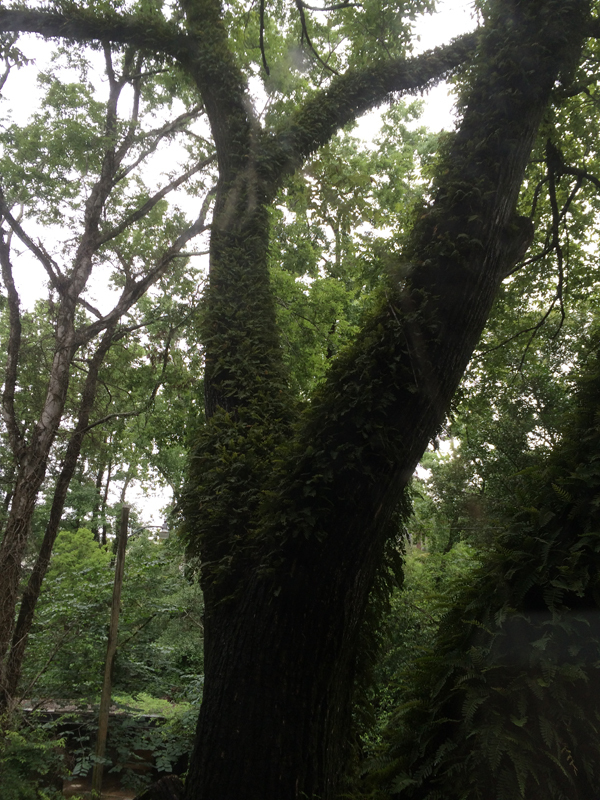 I leave you with resurrection ferns and subtropical green, the view from our bedroom. Enjoy the day. You both deserve it! Have a great day.What a great view. I hope you both thrive in your new home! Lush warmth. I like the look of that. I hope the weather and the trees are welcoming. I am already looking forward to Season 2 of Goliath, eventually. Right now is about being introduced to Star Trek: Discovery, and catching up on things in a month of a temporary subscription. Thanks for the resurrection ferns. That view is very nice indeed. And I look forward to hearing of your writing endeavours in the new home.